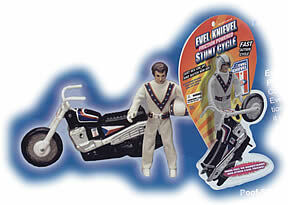 Rev up the stunt bike and watch Evel jump the ramp and crash through the break-away brick wall! 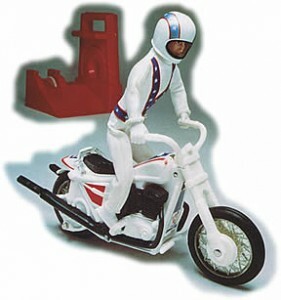 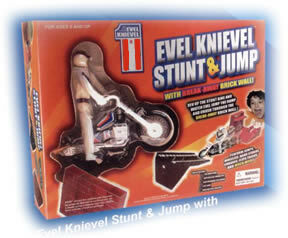 Posable Evel Knievel figure performs jumps, wheelies, hand stands, crashes, flips, tricks, and more! 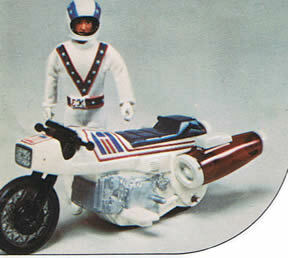 Watch Evel break through the brick wall at top speed!